If you had suggested three years ago, that I could complete an Ironman Triathlon, I would have laughed. And not just a little titter, a full-on belly laugh. Me? An Ironman? No, just not possible, a snowball’s chance in hell, pigs could fly…. You get the picture. I had just struggled through my first ever sprint distance triathlon. Did I enjoy it? Certainly. Was I more active now? Absolutely! But seriously, an Ironman is 3.8km swim, 180km bike and 42.2km run. More importantly, I didn’t want to, no inclination, zip. What a difference a couple of years can make. In that time I really fell in love with triathlon and I began to get faster, I met some great friends and training partners, My new friend Kay (alongside whom I participated in that first race) completed Ironman Lanzarote, and I developed a stress fracture in my ankle prompting my doctor to tell me to quit running forever. Well, if you have been following this blog, you’ll know I signed up a year ago. What followed was a year of ever increasing training and longer and longer bike rides. By June, my fitness was greatly improved, I had completed a Half Iron Distance Tri in Oliver and a couple of half marathons. 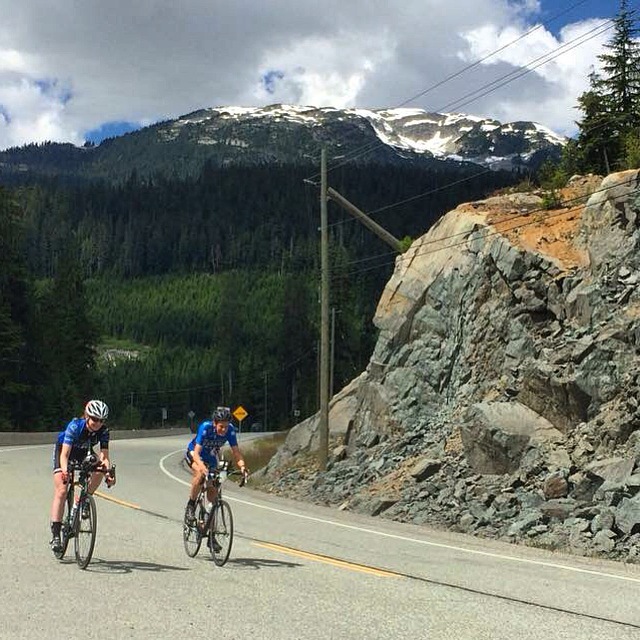 Kay and I signed up for an Ironman Prep Camp hosted by Balance point Racing and taking place in Whistler, on the actual Ironman Course. The camp lasted 3 days, during which we swam in Alta Lake, cycled the entire bike course and ran most of the run course. I was pleasantly surprised to discover that Alta Lake was not as cold as I had been led to believe. I had purchased a wetsuit that very week, and this was its first outing. (Actually, getting the wetsuit on was probably the biggest challenge of the weekend). I was relieved to confirm that I could indeed cycle up that last 30km into T2 at the end of a long ride, completing the bike leg within the time allowed had been my biggest concern since signing up for this adventure, so it was reassuring to have successfully pre-ridden the course. I can’t imagine seeing that for the first time on the race weekend, as no doubt some athletes did. The camp also gave me the opportunity to discuss nutrition and strategy with Coach Luke. He offered some excellent advice and tweaks to my nutrition plan. All in all, the weekend was a huge success and I left Whistler feeling relaxed and happy (and very tired), and now finally confident that barring any major unexpected hiccups, there was no reason to believe that I couldn’t complete my first Ironman in just under a month. The next few weeks were spent finessing my plan. I completed my last big ride and started to taper for the race. Tapering is a terrifying time where one cuts back on training to allow the body to be rested and prepared for the actual event. My packing list went through many iterations and ‘what ifs’ and I booked my bus ticket to Whistler. Then all of a sudden it was time to pack (Thanks to my good friend Pat, who sat through all my neuroses and made sure I had everything I on my list). 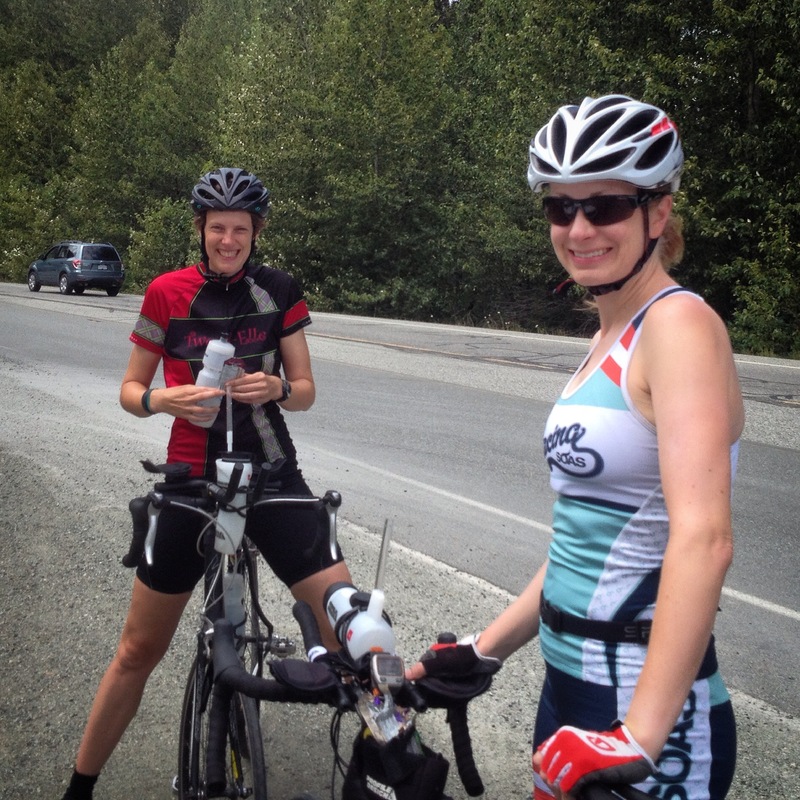 Kay (and Erin) took my bike by car whilst I took the greyhound; we would meet at the hotel in Whistler. We were travelling down on the Wednesday, to allow a couple of days of preparation before the actual race. As it turned out, I arrived first and checked into the hotel, after a quick scout out of the area, I relaxed and waited for their arrival. Once they had settled in, we went over our plans for the next few days. First order of business was athlete registration, I went down, waited in line, signed waivers and received my race number, timing chip and race bags (more on those later) as well as a goody bag which included a handy backpack that I would use for the rest of the weekend. I then went to meet with my to-be-newest friend Lisa, an Australian athlete, we had been connected by a mutual friend, and it was nice to make new connections like this. 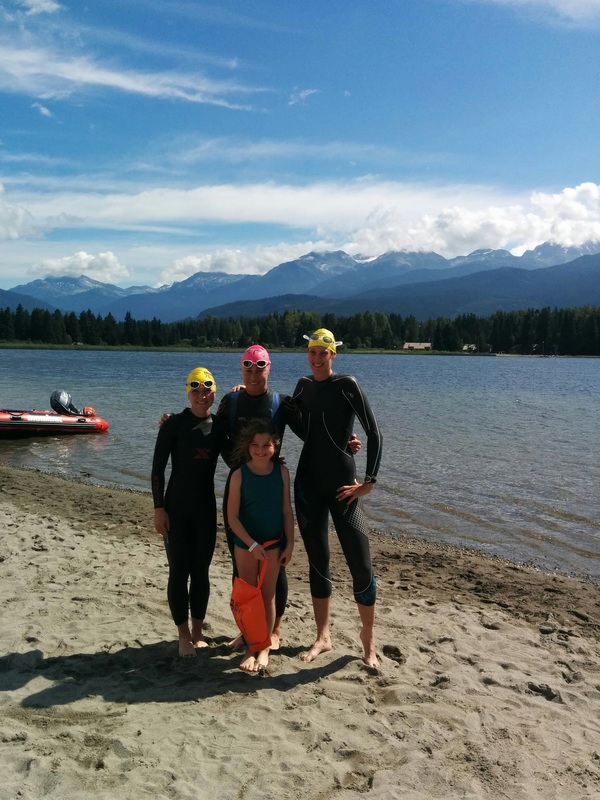 We went for a swim in Alta Lake, along with Tracy (who I discovered was racing in the pro division) they were both incredibly fast and incredibly encouraging. I was having so much fun that I had to rush to make my appointment with Majo, Kinesiologist Extraordinaire. 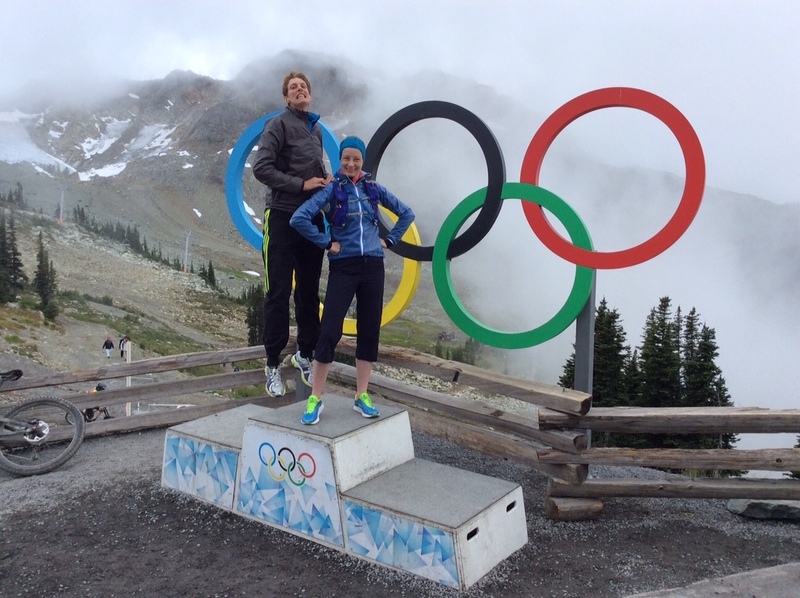 Seriously if you are in the Whistler area, I wholly recommend a visit! Once she had finished stretching, releasing, activating and otherwise working her magic; I felt relaxed, loose and raring to go. That evening Kay and I went for a quick bike ride along the run course, partly to check out the bikes one last time and partly to recce the run course turn around point (which it turned out, we hadn’t actually quite reached). We rounded out the evening with a swim quick soak in the hot tub of the hotel pool. Friday morning dawned and I headed off to visit the expo. I wandered around the tents making some last minute purchases including a rain jacket as it was looking increasingly likely that the race might be wet. I also stopped by the ART tent, where Dr. Shannon Snow was volunteering his skills for a quick tune up. 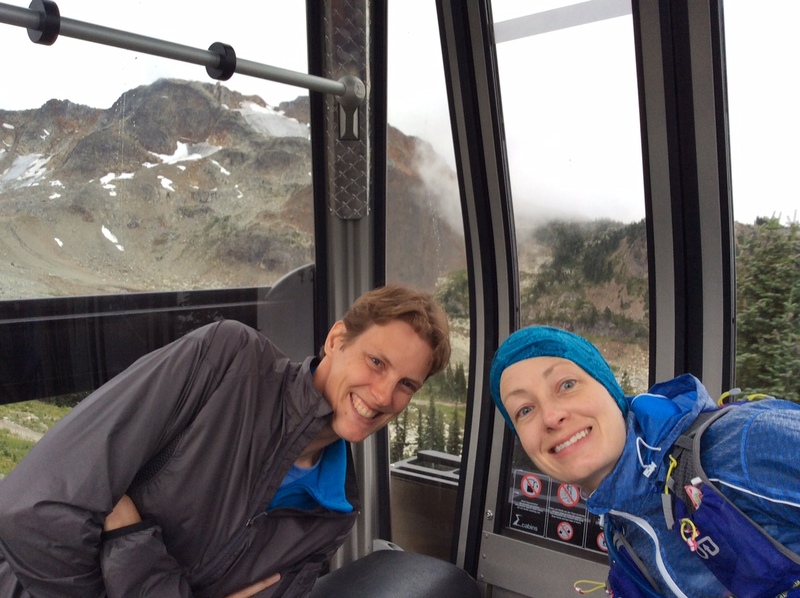 We then decided to take the gondola up the mountain and see some more of the beauty that Whistler has to offer. 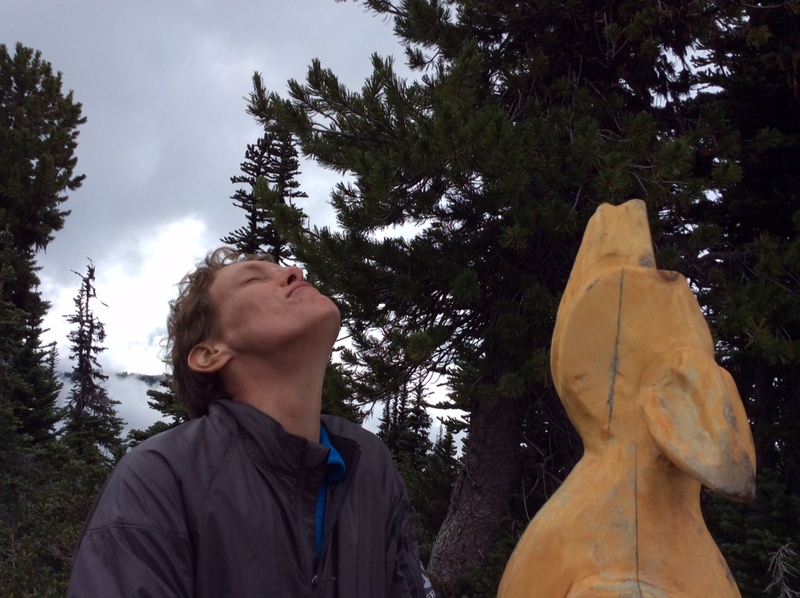 The views were spectacular in the fog/clouds (no doubt equally spectacular on a clear day) we walked some short looped trails and marvelled at the beauty (and the marmots). We also took lots of fun photos and generally had a blast. White: Morning clothes. 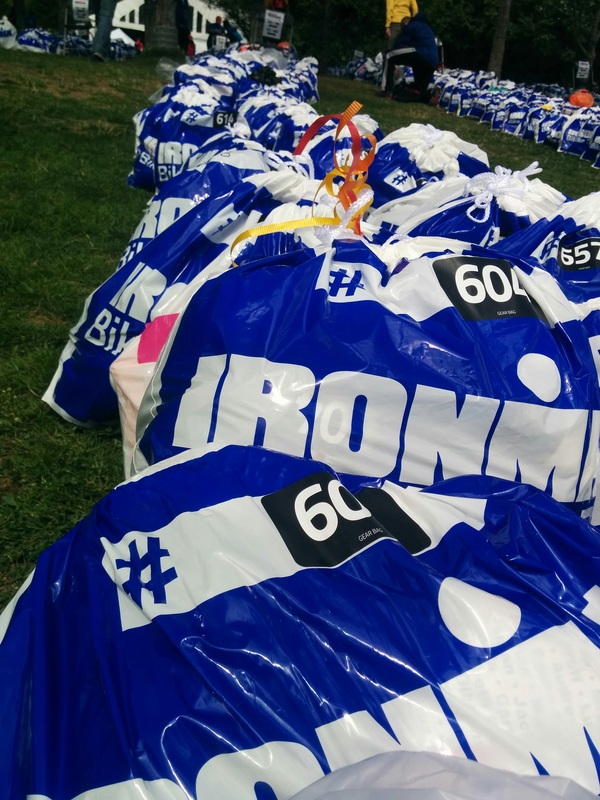 Handed in at the start, it contains the clothes you were wearing just before the race as well as anything you need immediately after. Blue: T1/Swim to Bike: Everything you need for the bike portion, you throw your swim stuff in there to be picked up at the end. 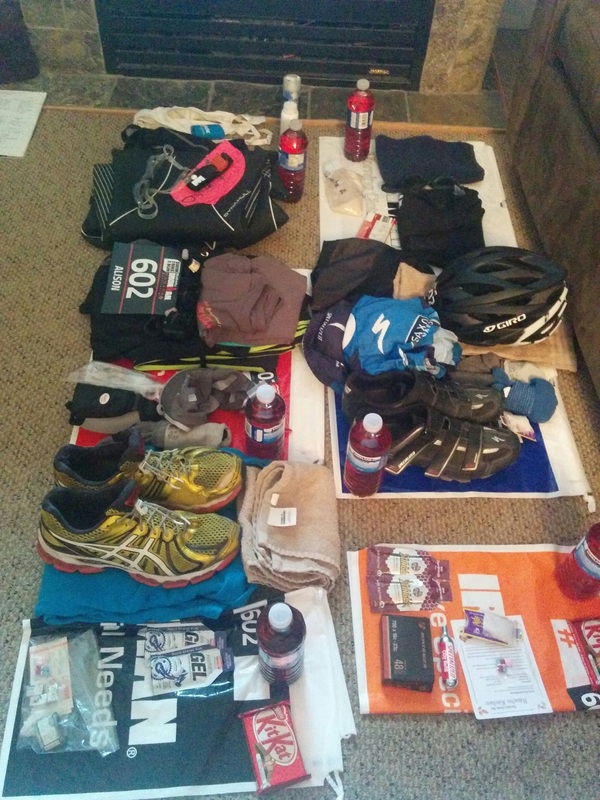 Red: T2/Bike to Run: Everything you need to go on the run, bike gear goes in here to be picked up at the end. There are also two ‘special needs’ bags (orange and black). At the athlete meeting these were referred to as a “power up” and I think that’s a good explanation, you pick them up half way around the bike/run course. The contents vary from person to person, but they usually contain spare clothing or equipment and nutrition items. It is also customary to have some kind of treat inside. During my long planning phase, I had put much thought into what should go into each of these bags. Unfortunately, those plans had been based on the race being hot. I had trained for a hot race and packed for a hot race; and now it looked as though it would not only be cold, but wet as well. Now, as I sat on on the floor in my hotel room with all of my gear scattered around me, I was paralysed with indecision. I started with all of the obvious things; towel, bike gear, spare tube, running shoes, salt tablets, Tylenol, emergency gels… I added a bottle of Ribena to each bag – It might not be sporty, or even that good for you, but I don’t recall a single time in my life when I have not wanted to drink this stuff, so it was the obvious choice for a race where I might need to entice myself to drink more. I also had a Kit Kat in each bag (though strangely in the end, those KitKats all went untouched). Shorts or long pants? Sweater, yes or no? Kay and I then talked each other through the contents of our bags to ensure we hadn’t forgotten anything or made any silly mistakes. After that, I spent the rest of the evening putting my fleece into my T2 bag… and taking it out, and putting it into the special needs bag…and then switching it back again. Early the next morning, I went out to watch the kids race, in which Lisa’s niece was running. I then visited Dr Snow in order to get my ankle taped in preparation for the big day. Much of the rest of the day was taken up with racking our bikes in transition and dropping off our transition bags. Kay and I lined up our bike-to-run bags with the hundreds of others in T2 in Whistler Village and then took one of the provided buses out to Alta lake where the swim and therefore the first transition was located. Here we dropped off our swim-to-bike bags and our bikes, minus any food. Apparently the location is a favorite of the local bears, who would sniff out our tasty offerings and ransack our bags if we were to leave so much as an energy chew lying around. That done, it was back to the hotel for an early dinner before bed. Stay tuned for Part 2 Coming Soon!